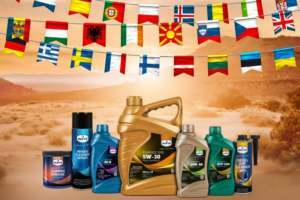 Eurol ATF 6100 | Eurol B.V.
A fully synthetic transmission fluid, especially developed for automatic transmissions of General Motors. It is also suitable for power steering systems and some hydraulic systems where a good low temperature fluidity is required. The recommended top-up or refill fluid for automatic transmissions where DEXRON III or VI is prescribed. The DEXRON VI specification is especially developed for the new Hydra-Matic six-speed transmission in General Motors built in 2006 or later.